What does Aqeel mean, details, origin, short & easy attributes? Aqeel (Arabic: Ø¹ÙŽÙ‚ÙÙŠÙ’Ù„) is an Arabic male given name, which means "knowledgeable", "intelligent", or "wise". An alternative spelling is Aqil. Aqeel is baby boy name mainly popular in Muslim religion and its main origin is Arabic. Aqeel name meanings is Wise, Intelligent. People search this name as Aqeel, Aqeela, Aqeelah, Alyaa aqeela. Aqeel is written in Urdu, Hindi, Arabic, Bangla as عقیل, अक़ील, عَقِيْل,عقيل,عقیل, আকীল. Other similar sounding names can be Aqeek, Aqeeq, Aqeil, Aqeela, Aqeelah. Each letter meanings in Aqeel Name. Popular personalities with Aqeel Name. He has been prominent since 2000. 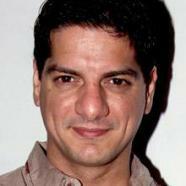 DJ was given the name Aqeel Ali on November 23rd, 1977 in Hyderabad, Andhra Pradesh, India. Aqeel was born Aqeel Karim Dhedhi in 1957 in Karachi. 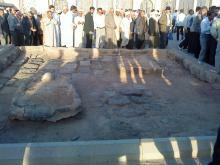 Aqeel was born in 581 in Mecca. Aqeel is also known as Abu Yazid. Aqeel was born on January 30th, 1980 in Karachi, Pakistan. Aqeel was born in Ranipur, Pakistan. 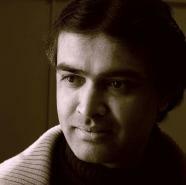 Aqeel Ahmed is a film director, screenwriter, film producer, and screenwriter&film producer. Aqeel was born Aqeel Ahmed on July 14th, 1987 in London. Aqeel is also known as M Aqeel Ahmed. Pakistani Scholar Y Moinuddin Aqeel is a in the field of urdu literature. Pakistani was born on June 25th, 1946.